The American Gaming Association is out to prove to the world that legalized sports betting is a win-win situation. In a press release sent out Thursday, the AGA detailed the findings of a recent study it commissioned via Nielsen Sports. The study showed that annual revenues for MLB and the NBA should increase by a combined $1.7 billion thanks to expanding regulated sports betting. For the four major sports leagues (MLB, NBA, NFL, NHL), that total swells to an even larger figure. Nielsen Sports conducted a custom survey of 1,032 adults, 18 years and older, across the country from May 15 to May 31. The study surveyed sports fans and self-identified sports bettors “to model how a national, legal sports betting market would affect the sports consumption habits of non-bettors, casual bettors and avid bettors.” To boot, the study looked into how the change in consumption would translate to increased revenue. The results showed that the MLB’s annual revenue could increase by $1.1 billion, while the NBA could see a $585 million spike due to “widely available, legal, regulated sports betting,” per the release. 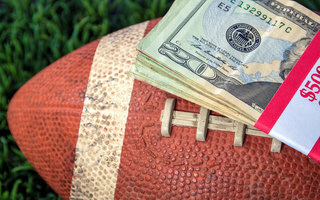 The study examined revenue streams generated by legalized sports betting. Among factors playing into those increases: revenue as a result of betting operators spending on advertising, data, and sponsorship; and revenue generated as a result of increased consumption of the leagues’ media and products. Nielsen Sports found that regulated wagering could lead to “greater fan engagement and viewership.” As a result, total annual revenue, specifically for the MLB and NBA, could trend upward from media rights, sponsorships, and merchandise. The byproduct, according to the study: $952 million for MLB and $425 million for NBA from increased consumption of the leagues’ products. The AGA previously released findings, also from Nielsen Sports, surrounding revenue projections for the NFL and NHL. Those results indicated the NFL could reap $2.3 billion and the NHL could collect $216 million from regulated sports betting. These recent findings only add to the AGA’s argument that professional leagues stand to gain as much, if not more, than states. The NBA, for example, could see revenue reach $160 million as the result of spending by betting operators and data providers, while the MLB could pocket $154 million. Advertising by gaming operators, the study concluded, could reach $64 million for the MLB and $57 million for the NBA. Additionally, sponsorship revenues from gaming operators would provide $78 million and $62 million for the NBA and MLB, respectively. As for data rights, the two leagues could make a combined $53 million.